Seven worker-activists involved in the independent labor organizations known as “worker centers” have been arrested. In an unprecedented crackdown on some of China’s most effective independent labor organizations, known as worker centers, seven worker-activists have been detained and held virtually incommunicado in detention facilities in Foshan and Guangzhou. The detainees include Panyu Dagongzu Service Center staffers Zeng Feiyang and Zhu Xiaomei; former Dagongzu staffers Tang Jian (a k a Beiguo) and Meng Han; Peng Jiayong of the Panyu-based Laborer Mutual Aid Group; He Xiaobo, director of Foshan Nanfeiyan Social Work Services Organization; and Deng Xiaoming of the Haige Workers Center. Beiguo reportedly remains detained, but his whereabouts are unconfirmed as of December 16. Advocates report that He and Zhu’s lawyers, along with detainees’ family members, have been arbitrarily barred from visiting. And Zhu, a former migrant worker from Henan turned organizer, has been denied bail and is unable to reunite with the baby she is nursing. Authorities have also reportedly questioned and harassed dozens of relatives and affiliates of the detainees and their groups. 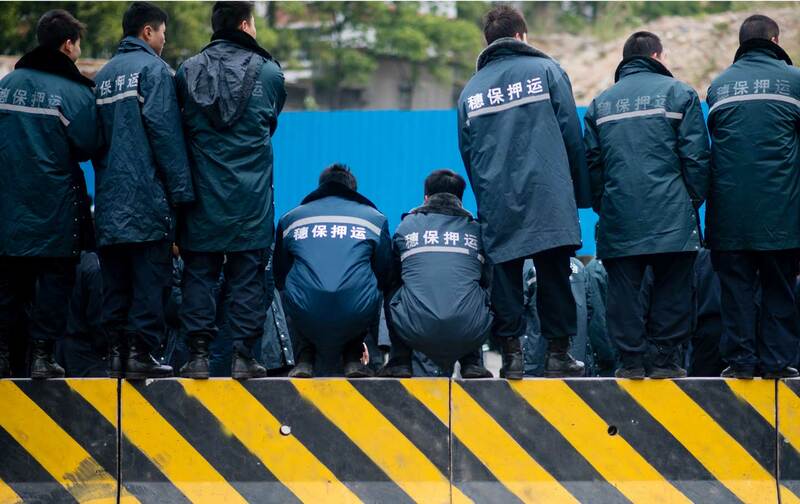 While the government remains mum on the detentions, the police sweep seems an unusually harsh crackdown on community-based groups that have long struggled to balance mutual aid and advocacy without courting controversy. Working outside the international spotlight and concentrated in China’s gritty southern manufacturing belt, organizers toil thanklessly each day on behalf of local workers: filing complaints, winning back wages, fostering collective bargaining, and occasionally mediating strikes and other workplace conflicts. But this is not the first security clampdown these activists have experienced. The website China Change has detailed the activists’ often tumultuous career as rank-and-file organizers. Zeng, a former corporate lawyer turned grassroots labor organizer, was detained and threatened by police, and later attacked by unidentified assailants, after helping to coordinate a major strike at a Guangdong shoe factory in late 2014. Peng Jiayong, a veteran labor activist who became a full-time grassroots rabble-rouser after he was fired for trying to organize coworkers at a foreign-owned company, was assaulted by “eight unidentified men and severely injured” last April, according to China Change. Elsewhere in Guangdong, Walmart store workers are escalating their long-running struggle to defy the government-run union apparatus, the All-China Federation of Trade Unions (ACFTU), by campaigning for independent candidates. While their actions are not directly connected to the NGO crackdown, their struggle for independent unionization underscores the challenges of building autonomous rank-and-file power in China’s increasingly globalized and precarious workforce. “The union doesn’t do anything” to promote workers’ interests, according to Hong Kong–based labor scholar Anita Chan. A lack of strong unions, she adds, is one reason groups like Dagongzu have approached labor relations through “legalistic” rather than militant means. Over the past decade of reform-era union activity, Chan says, grassroots organizing has been impeded by an oppressive political climate. Even in larger worker uprisings, such as last year’s massive Yue Yuen shoe-factory strikes, protests have been co-opted by union officialdom or quashed by authorities, and haven’t engendered sustainable autonomous organizing campaigns. “All these strikes, they’re directed against management, not against the state,” she observes. Still, though the targeted groups face challenges from the state and business, a global groundswell of solidarity has emerged to defend the detainees as symbols of a labor movement that is as vital as it is endangered. The persecution of Guangdong’s worker-activists exposes the hypocrisy of China’s “rule of law.” Nonetheless, it also reveals an emergent political landscape for labor: While the state can suppress individual activists, the consciousness of workers is rising too fast for anyone to contain it.